Over the years we’ve opted for the two-day drive from London to the Alps for our annual ski holiday. It’s probably easier to fly or take the ski train, but with young children and the amount of stuff we like to take, it feels easier and cheaper to drive. Driving necessitates an overnight stay and in the past we stopped in Reims where there’s a surprisingly stylish Best Western with family rooms, excellent champagne to be sampled, and, should you fancy a bit of sightseeing, a magnificent cathedral. 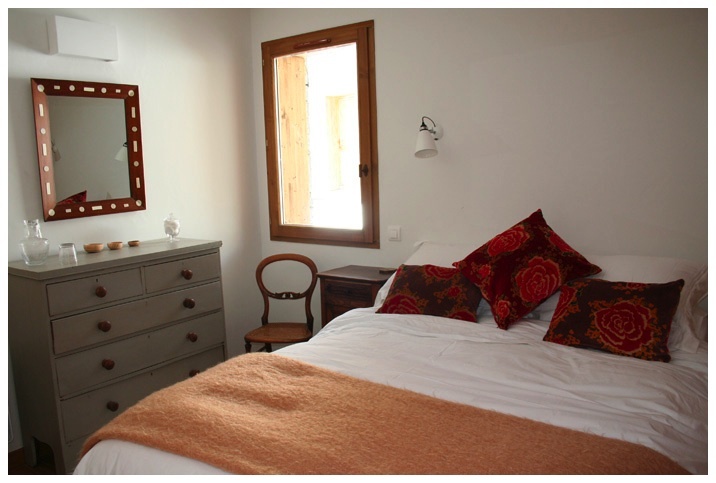 This year we took a new route, staying overnight at Les Iris. This raised a few questions. Driving from Normandy to the Alps was a new route; would it take much longer? 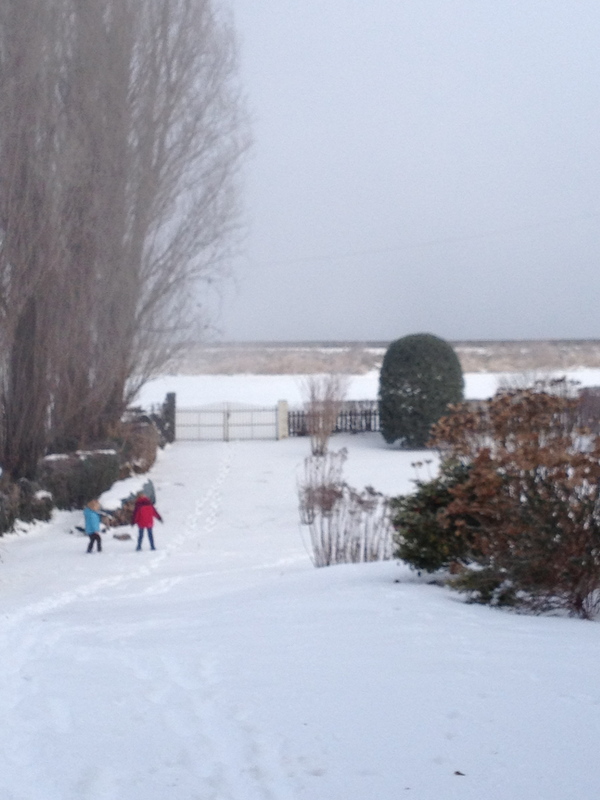 And with snow and record-breaking low temperatures in France, would our village, in the Seine Valley, be accessible? Last year, in the heavy snow around Christmas, the villagers were snowed in for five days. The owner of the one 4×4 that made it up the hill out of the village found himself buying in bulk from the bakery and delivering bread each day to the village’s 60 or so residents. This year, in the event, the local famers had cleared the roads of snow and ice, and the driving was straightforward. Despite -15 degree temperatures outside, the cottage was warm: thatch is a natural insulator, and does a wonderful job of keeping the cottage cosy inside. The drive to the Alps was marginally longer overall, but it was worth the extra miles to avoid staying in a hotel. The drive from Normandy to the Alps took 9 hours, including a long lunch break and several service station stops. 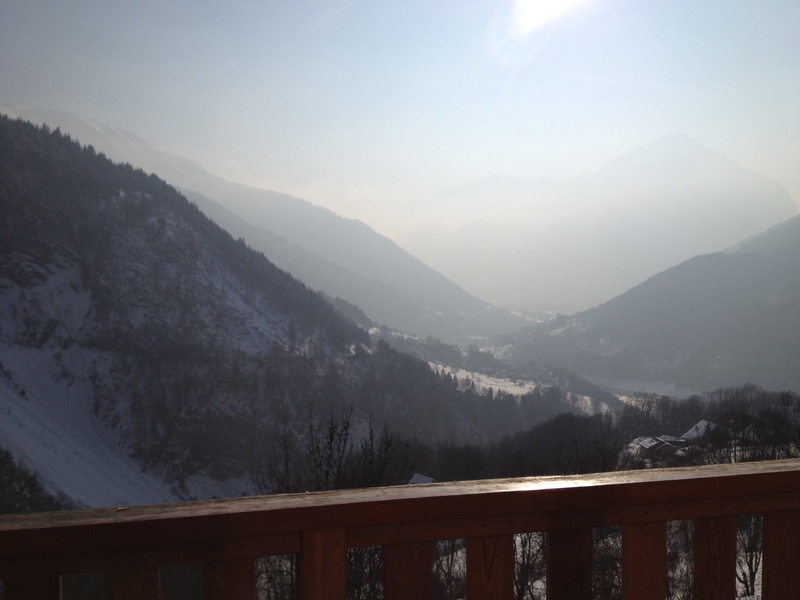 We skied this year in Vaujany, a lovely village with excellent access to the Alpe d’Huez ski area. While there, we had a chance to explore some beautiful French properties. 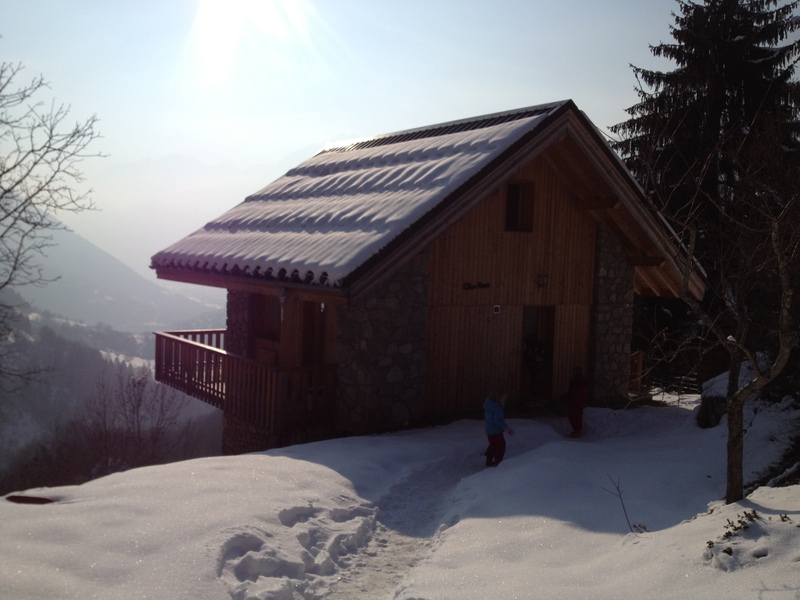 We stayed in Chez Nous, a self-catering mini-chalet, that’s part of Chalet La Maitreya. From our floor to ceiling windows there were fantastic views along the valley. And we enjoyed many entertaining evenings with friends at their beautiful home in Vaujany, La Boite Qui Brille. I just love how they have decorated this modern chalet, proving that you can use contemporary colours and materials to build a cosy and welcoming space.